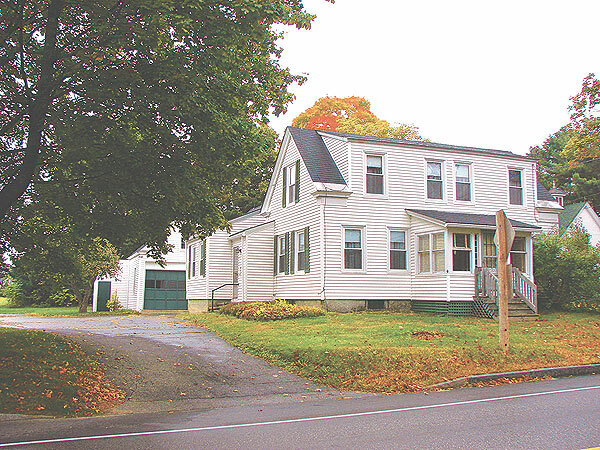 In November 2010, the Society formed a separate corporation called October House LLC and with the generous help of members and friends providing the down payment, purchased one of the historic homes in Windham Center. The Reeves family had lived here for several generations and the home, barn, workshop and shed – and more than two acres of fields – abuts the back of the Historical Society. Plans include building a display barn and adding handicap access to the Old Town House Museum, our headquarters building. In the future, it is hoped the Old Grocery can be moved across the street from its current location at the busy corner of Route 202 and Windham Center Road to a more accessible spot on the Village Green. Over the past few years, the Green has seen significant progress. The Village School is complete and ready for classes. Now, children from nearby schools will be able to step back in time and see what it was like to attend school in the late nineteenth century. The South Windham Library has been moved to its permanent place on the Village Green and is a work in progress. The Blacksmith Shop is under construction and the Society hopes work can begin on a Gazebo sometime soon. These plans are exciting to all of us. The house on the property is currently being rented to cover the mortgage and maintenance costs. To be part of the wonderful Village Green project and help bring Windham’s history to life, you can contact the Windham Historical Society at 892-1433 or write to us at Windham Historical Society, PO Box 1475, Windham ME 04062. We can also be contacted by email at info@windhamhistorical.org. To donate stock, the donor gifts stock and receives a tax deduction for the full market value on the day of transfer. Since Windham Historical Society is a non-profit organization, we can sell the stock, receive the proceeds and pay no state or federal taxes on the gain. For more information on this option, please contact our Investment Advisory firm, Clark & Stuart, Inc. and ask for Charles (Rocky) Clark, CFP at (207) 775-1140 or email clarkandstuart@gmail.com.